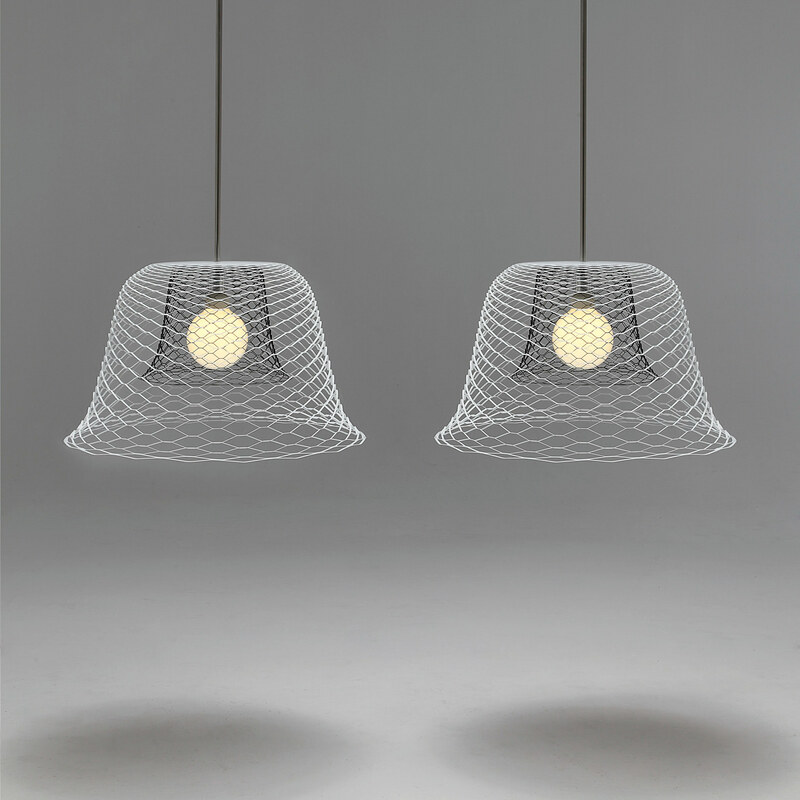 2011 Slinger is the Dutch word for festoon, to emphasise on the playfulness and fun aspect of the lamp. It cheers up the space. Slingerlamp by Richard Hutten for Gispen is a large pendant with an open structure which provides an extraordinary light distribution. 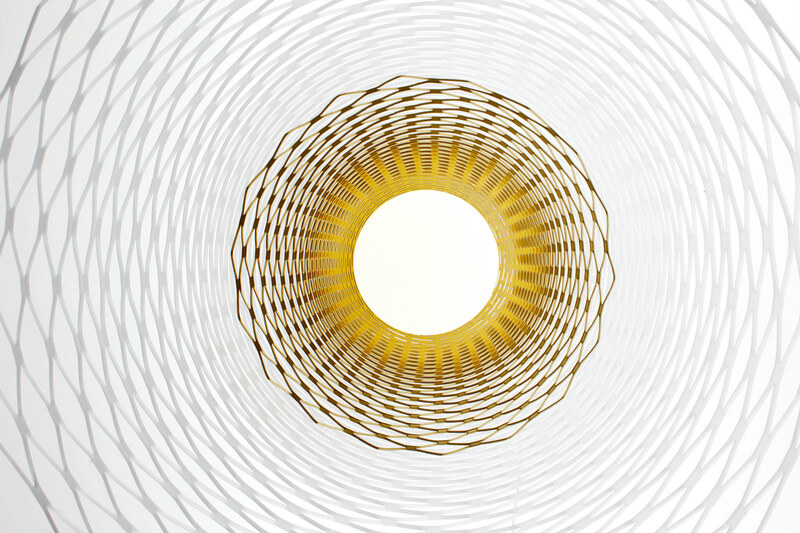 The elegant pendant consists of a large light bulb with two laser cut shades of different sizes and contrasting colours. 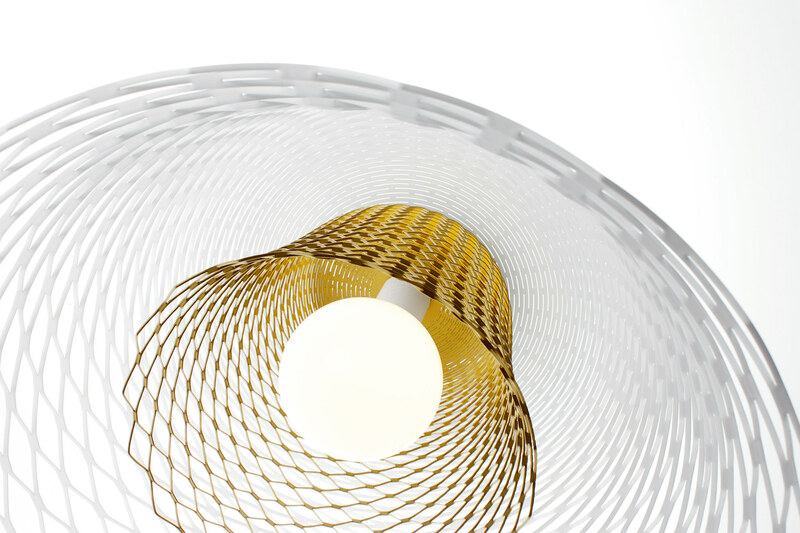 The open structure of the shades provides an exciting moiré effect. The lamp presents an intriguing image, even without having the light on. 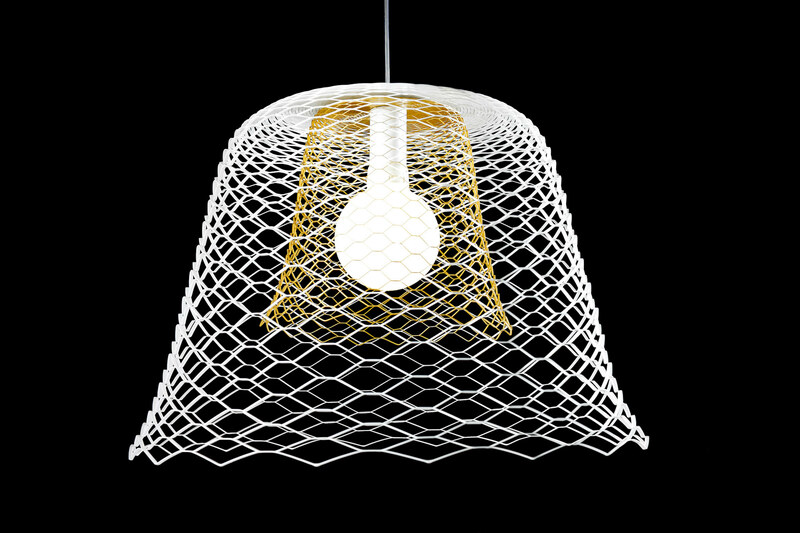 The lamp is created from a single sheet of metal, without any waste. The outer shade is in white and the smaller inner shade is available in contrasting black or golden bronze. © Richard Hutten Studio b.v.